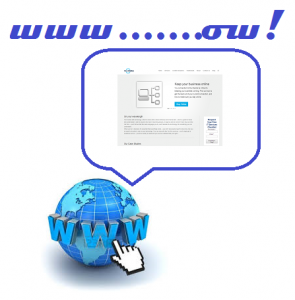 A website that never changes is less and less likely to be ranked by the search engines. When the spiders visit they look for fresh material and if nothing has changed the time before their next visit lengthens. This is one reason why it makes sense to have your blog on your website as you are regularly adding new information, but there are other things you should do. If you’re using WordPress and their internal link system this shouldn’t be a problem, but it’s good practice to go through your site once a month and check that all the internal and external link s work as they are supposed to. Most content management systems (CMS) have new releases to improve security and enhance features. It’s important that you keep these updated. If you have an IT support service check that they do this for you. Like the CMS, plug ins do have updates so you should also ensure your plug ins are kept up-to-date too to ensure they work as they are supposed to. Bear in mind that plug in updates are sometimes linked to the latest CMS system so if you’ve updates one and not the other your plug in may stop working. Content dates and, whilst you may have invested in having your copy written professional and don’t want to tinker with it, it’s wise to review it annually. This will help you to identify where information is out-of-date or needs freshening up. It probably doesn’t need a complete rewrite, just a new paragraph here and there to bring things up-to-date. Put your regular updates into the diary so you don’t forget and keep your website operating at its best.